Matthew A. LaSusa is Of Counsel in the Chicago office of LaSusa Law Offices. His practice focuses on business and commercial litigation, business formation, business planning and business transactions. 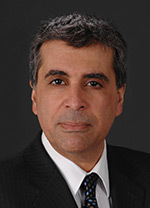 He represents clients in state and federal courts in business competition cases including contract disputes, unfair competition, business torts and antitrust. Matthew A. LaSusa has significant experience in representing clients who require legal assistance in secured transactions, trusts and estates, business estate planning, commercial real estate development and commercial real estate litigation. Mr. LaSusa’s practice also includes representing clients injured as a result of catastrophic accidents and medical malpractice. Following his admission to the bar, Mr. LaSusa was a principal partner of LaSusa & LaSusa, PC from 1986-2007 where he represented banking institutions and municipalities before administrative boards and in state and federal court. He graduated from DePaul University College of Law (JD 1986) and University of Iowa (BA 1981). He is an active member of the Chicago and American Bar Association.